Are you or someone you know an Entrepreneur, Small/Mid-Sized Business or simply looking to get that great idea off the ground and running? Do you desire to have a local space in our City to share ideas, network and learn from like minded individuals?? 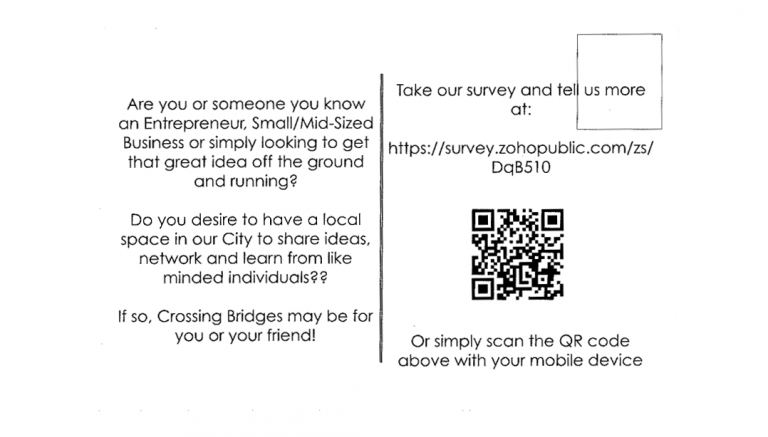 If so, Crossing Bridges may be for you or your friend!